A rising tide lifts all boats, but there’s nothing like sailing well ahead of the hard-chasing armada to begin with. 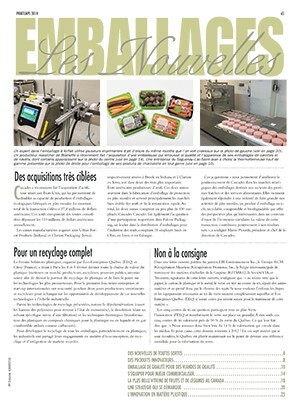 As more and more leading automation companies continue to focus their attention on the burgeoning global market for fast and high-accuracy product inspection systems—driven by increasingly stringent food safety regulations and strict compliance mandates from the world’s leading grocery chains—Mettler Toledo Product Inspection is showing no signs of easing its solid grip on the company’s runaway market leader status. Leveraging a highly diverse product portfolio comprising all the core technologies used to ensure optimal consumer safety for all sorts of food, beverage, pharmaceutical and other consumer goods and merchandise, the company’s comprehensive range of the metal detection, X-ray inspection, checkweighing and machine vision systems offer CPG (consumer packaged goods) manufacturers a solution for virtually any type of quality assurance application, regardless of complexity or degree of difficulty. 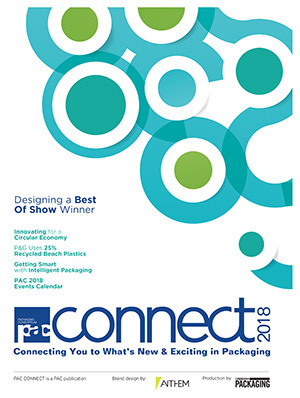 And never more so than now, in fact, following the recent merger and consolidation of the company’s four core business units—including Safeline metal detection and X-ray inspection, Hi-Speed checkweighing; CI-Vision machine vision; and PCE track-and-trace/serialization technologies—at a new state-of-the-art 265,000-square-foot facility in Tampa, Fla.
Housing a large production area and all key administrative departments— including human resources, finance, supply chain, production, sales, service, marketing, quality assurance and engineering—the gleaming new complex features multiple amenities and comforts to provide a healthy and upbeat working environment for about 500 or so full-time Mettler Toledo Product Inspection employees mandated with enhancing the company’s hefty market clout and prominence well into the future. 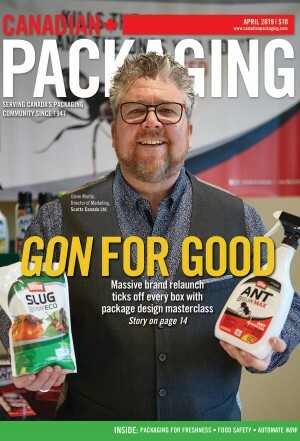 The Canadian Packaging magazine recently caught up with Magnus Kullerstrand, general manager of Mettler Toledo Inc. (Canada) in Mississauga, Ont.—to talk about the company’s corporate revitalization and its outlook for the product inspection business both in Canada and well beyond. Magnus Kullerstrand, general manager of Mettler Toledo Inc. (Canada) in Mississauga, Ont.,believes that accelerated software development will be the next big wave in the product inspection technologies business, driven by the pressing need for better data collection and analysis capabilities by companies eager to improve their overall manufacturing processes. 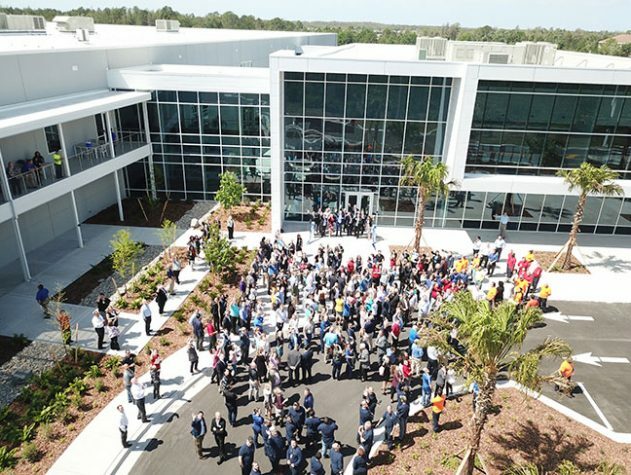 Congratulations on the opening of your new centralized facility in Tampa. What is the significance of this milestone for the company and its customer base? Having all our Product Inspection (PI) equipment engineered, produced and supported in a single facility helps us to collaborate better and deploy best designs and practices across all of our technologies. Collaboration and using best practices across our technologies, in terms of design and parts, will help us maintain our leadership position. We also wanted a location where our current staff would be able to follow us from their previous separate locations, and where we could pull new team members from a diverse and well-educated talent pool that is available to us in this geographic region. It offers a one-stop-shop for sales and service of all of their product inspection needs and their FAT (factory acceptance testing) requirements. It will make it much easier to conduct business with our growing customer base by having centralized sales and service operations in place. It really is a fantastic facility, with a fully integrated engineering department, which represents a huge investment for Mettler Toledo to serve a market that we firmly believe will continue to grow at a rapid rate at least over the net 10 years. Having a facility like this will go a long way to not only remain the market leader in that time, bus also increase the technology gap between ourselves and the competition, thanks to a lot of cross-engineering we can now do for all of our core product ranges. Please describe your customer base to us, and how your company’s services help improve their business. Our product inspections systems are used by manufacturers in many industries—including food, beverage, pharmaceutical, nutraceutical, personal-care, plastics and chemicals—to ensure the total optimal quality of their products and improve the efficiency of their manufacturing and packaging processes. We help customers to streamline processes, enhance productivity, reach compliance with regulatory requirements and optimize costs, meaning that many of our product inspection systems are often built to the customers’ unique specifications, and customized to fit their exact needs. Describe you company’s capabilities in the Canadian marketplace. We serve all of Canada, coast-to-coast to coast, with the support of a dedicated team of local experts at Shawpak Systems Ltd. of Oakville, Ont. We primarily serve the food and beverage industry, with strong presence in pharmaceuticals and chemicals. 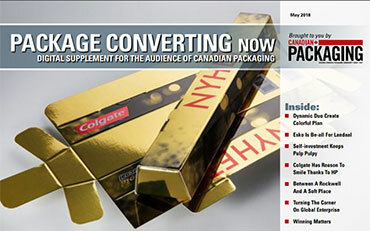 The business has enjoyed solid annual growth since its integration into the Canadian marketing organization, and we expect the positive trend to continue. We also have the largest technical service force across the country to provide the hands-on training required to support out customers. Our technicians are able to support and service our product inspection systems through their entire life-cycle: from installation through calibration, preventative maintenance and repair. This year, we have naturally been keeping a close eye on the NAFTA (North American Free Trade Agreement) negotiations to determine the possible impacts on our business from a modified trade agreement. Historically, our product inspection solutions have been in high demand across many different economic conditions at the time, although we would continue to benefit from a strengthening in the Canadian economy and the national currency. 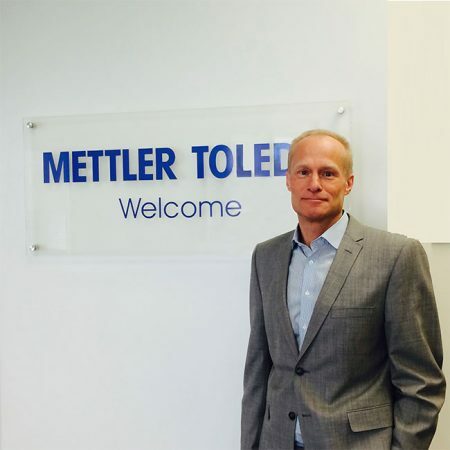 Mettler Toledo’s product inspection business has been growing rapidly over the last 10 to 15 years, and it has grown exceptionally well in the last five years—both globally and here in Canada. What is driving this remarkable growth? The tough new food safety regulations are an important driver, but many companies are also starting to use product inspection equipment to achieve better yields through improved productivity and product protections, while improving product quality and maintaining their brand reputation. 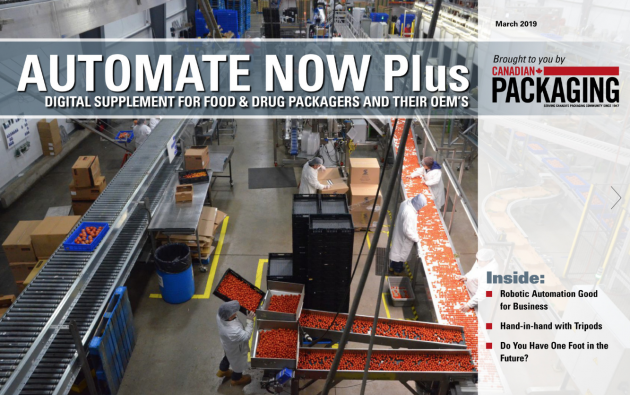 It’s a combination of the industry getting proactive about product protection, and its retail customers extending their product safety demands onto the production floor—driven by consumers who are now more aware of the various food safety issues affecting their own health and well-being. It all comes down to the Big Three of productivity, quality and protection. Given that these same growth drivers also apply to your competition, what is your company’s strategy for retaining your leadership position? Being a global market leader, by the biggest player in this market segment, enables us to do things differently from other vendors. Whereas other competitors tend to focus on product features and product specs, we tends to partner up with our customers in a Big Picture way to address the aforementioned larger issues of productivity, quality and protection. Hence we focus not so much on the customers’ products but rather their processes, acting as a trusted advisor or consultant. Naturally, having four different product ranges enables us to offer more complete turnkey solution to help our customers improve their yields in a significant way, rather than simply address their product issues in a one-by-one manner. For us, it’s about providing the right solution that enables customers to produce at the required quality levels all the time, to reduce waste, to reduce ‘false rejects’ and to produce a quality package on a consistent basis, which all requires a proper needs assessment. Which of your four core product categories offers the biggest growth opportunities going forward? Metal detection is definitely the leader in terms of the installed base, but X-Ray systems are growing at the fastest rate right now. The vision systems are also a promising segment, particularly in pharma applications, with its powerful track-and-trace capabilities. The important this is to identify what it is that the customer is hoping to achieve with vision systems, rather than installing it just for technology’s sake. Our ability to offer customers customized solutions, such as a combination X-Ray and checkweigher system, is an important competitive advantage and differentiator that offers them full-scale integration of our technology into their production process, including custom-made conveyor that are made-to-measure for their exact needs. What are some of the new product innovations and advanced technologies your company offers to the market? Our parent company Mettler Toledo is an industry leader in R&I (research-and-development) investment), and the Product Inspection division is no exception. We consistently gather feedback from internal and external stakeholders to refine and improve our product offerings—building upon 30 years of experience to provide best-in-class technologies to our customers. In 2018 we have launched the X34 X-Ray inspection system that offers automated product set-up—coupled with intelligent software to improve production uptime, reduce manufacturing costs, and enhance detection sensitivity. But it is my belief that the next big evolution in product inspection will be all on the software side of the business—namely focusing on data collection and the integration of that data into the decision-making process in a seamless way into all the critical control points. This has already been around for the last three to five years, but you will see a major growth in emphasis on data collection software in the next five years or so. It all gets back to boosting productivity by optimizing the existing process and improving quality control by utilizing the right kind of date to reduce waste and the incidence of false rejects, and we are convinced that the industries we serve will demand this capability in a major way in coming years.